If you haven’t set up social media pages for your brand yet, you need to get on it right away! Social media is THE number one way your current and potential customers will interact with you. Pretty much every single company you can think of will have a significant social media presence. Nike, Netflix, Apple, HP, Sony… you get the point. These social media pages are used for customer service, marketing, launching products and engaging with their customers. The days of blowing up the phone lines when you want to speak to a customer service agent are quickly being left in the past; consumers are opting for convenience and instead turning to Facebook Messenger for help, or Instagram to look for buying inspiration. It should be among your top priorities to get your social media accounts set up and optimised if you haven’t yet done this. Social media platforms can make or break your brand and there is so much potential you can tap into. On this page, we are going to cover how you can optimise your social media page. When done properly, you can easily boost your online reputation and amplify your content through social media. This makes your brand more trusted, visible and authoritative. On my off-site SEO page[link], I delve deeper into backlinking, however, it is particularly relevant to social media account optimisation, so I am going to briefly mention it here. A backlink is created when one website links to another (you) and they are especially valuable for SEO. Building a natural backlink portfolio is very important because it helps establish your site as authoritative, pushing you further up Google’s rankings. In effect, backlinks are a vote of confidence from one site to another. If many websites backlink to you, Google will suss out that you are publishing high-quality content and thus rank you higher in search engine results. There are several ways to incorporate backlinking into your social media presence. Although social media backlinks don’t directly improve ranking themselves, the social signals they give off do. People are always finding new websites via their social media feeds, and your site shouldn’t be an exception to this. There are many more ways to do this – it is very simple, and you can get going with it right away. Again, I recommend checking out my off-site SEO page where you can learn about backlinking in-depth and incorporate it as part of your social media optimisation strategy. I regularly work with a large network of clients ranging from small start-ups to large enterprise-level companies. For well over a decade, I have been working as an SEO consultant and have helped these companies reach their potential and rank highly in Google. You need to have a social media presence, there is no avoiding this, and you need to ensure that your page is properly optimised. Because of the way social media platforms work, optimising social media pages is something which is relatively simple to do if you are willing to put in the work. On this page, we are going to cover social media account optimisation, look at how you can do it for yourself and see how an optimised social media pages can help you rank higher in Google, convert more customers and increase your sales. Remember, all aspects of SEO are about the same thing – increasing exposure and sales! Me and my team are here to help you with your social media account optimisation. If you may be interested in my services, feel free to get in touch. If you want to learn more about SEO in general, check out my other SEO pages[link] or my blog. Does social media activity correlate with searches? Do Facebook shares and likes have an impact on rankings? Do Facebook, Twitter and Instagram followings? So, no, these don’t have an impact… directly. However, they do have an indirect impact. Social media sharing of your website’s pages or content increases your visibility, and this increased visibility means more people can find and interact with you. This also enables content creators such as bloggers and journalists to see you, write about you and link back to you. The more people who come across your social media page and content, the more people will share it. The more people who share it, the higher the chance you have of being exposed to social media influencers and content creators. The more influencers and content creators who see you, the more backlinks you build. It’s simple! So, whilst social media activity alone doesn’t boost your rankings, having an optimised social media page which makes good impressions on the people who matter can lead to mentions, backlinks and endorsements, all of which boost your SEO. With so many social media platforms out there all catering to different target audiences, picking the right ones can be a confusing and frustrating process. Although you may think it would be a good idea to be on every single platform, it isn’t! You should only spend time by only launching social media profiles which will benefit your business by exposing you to your target audience. 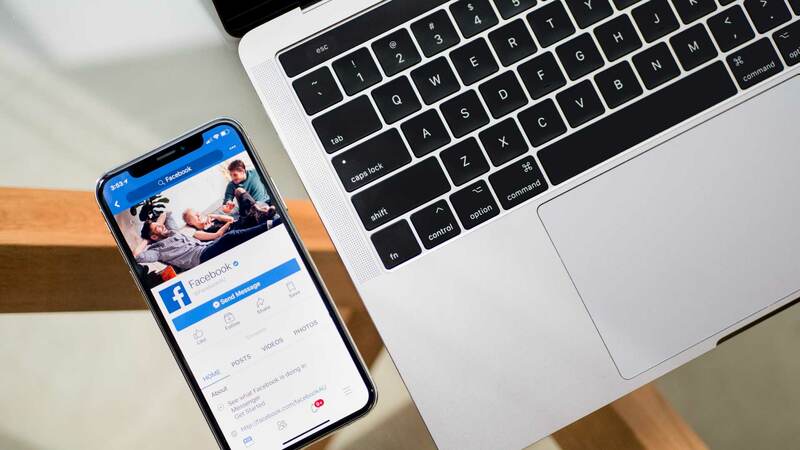 It isn’t just the huge number of users which makes Facebook important, it has a ton of useful marketing, analytical and audience insight tools which make it a dream for learning about your target audience. It isn’t your business which needs to be on LinkedIn, it’s you. LinkedIn is a professional platform and you are the face of your brand or business. LinkedIn gives you the opportunity to network with major players in your industry and establish your authority. Although not a typical social platform, creating a Google+ page for your business helps Google generate search results for you. When a customer Googles you, being on Google+ will prompt Google to display information such as your name, reviews, contact information and where you are located. Other platforms such as Instagram, Pinterest, Tumblr and Twitter all depend on your brand, product or service, and whether you have the resources to really put time and effort into running extra social media pages properly. Twitter is a great platform to add on further down the line when you have grown, and more people are talking about you. Twitter is a great place to monitor brand mentions and see what people are saying about you. Instagram is another great social media platform. With over 50% of 18 – 29-year olds using it, it is worth considering, especially if you can convey your message through pictures. Pinterest and Tumblr are two very visual platforms which work best for more creative businesses operating in the health, fashion, food, travel and beauty industries. YouTube and Snapchat are great for creative companies which produce video content, however, you can also produce video content on Facebook, Instagram and Twitter so I would recommend not going for these platforms straight away. Using social media as your catalyst, you can strengthen your brand’s online presence and rank highly within search engine results. It is not enough to just make and intermittently post to your social media accounts; social media optimisation requires the creation of a strategic social media optimisation plan which will enable you to connect and resonate with your target audience. Just like your website, the content on your social media pages helps searchers find you, and most businesses fall at the first hurdle: creating their profiles. It sounds like a simple task, but creating your profile does require some careful attention. Profile photo: this should be your company’s logo and nothing else, unless of course you are a professional individual such as myself. Username: this should be your company’s name – it becomes much easier for searchers to find you when you are using your company name. About & bio: simply and clearly state what your company is, what you do and link back to your website to drive traffic. For extra points, use a few relevant keywords. Take your time and fill out your profile completely. Facebook and other sites give you the opportunity to input lots of detailed information about your business – take advantage of this! The more complete your page, the more it stands out. I have already covered keyword research[link] in depth and I recommend you read my full page on it. Simply put, keyword research is about figuring out the phrases which your target audience are using to perform their searches. By researching keywords and knowing what phrases, hashtags and search strings are relevant to your audience, you can incorporate them into your content and get found easier. “Content is King”, or so the saying goes. When it comes to SEO, your written content is one of your most valuable tools – it is at the heart of social media and you can’t succeed without it. Well-written content will enable more people to find and engage with you, leading to higher website traffic and more conversions in the long-term. There are two types of content which you can post on social media: original; and curated content. Original content is just that – original content made for social media specifically. It usually forms part of a campaign. Curated content, on the other hand, is content which has been shared from various web sources. Your original content should be well-written, relevant to your brand and contain keywords you found through research. In contrast, the curated content you choose should be relevant to your brand in its entirety, especially since you have no control over it. Publishing content on social media is a trial-and-error process; figure out what your audience finds relevant by looking at each post’s engagement and then learning from weaker-performing posts. Studies have shown that images are one of the most important tactics for optimising social media content. Take advantage of this by including high-quality images in your social media posts, or go one step further and start having your own images and illustrations created. These provide your content with a wider reach and enable people who aren’t following you to find your content. All the major social media platforms support hashtags in one form or another, and you should take advantage of trending topics and relate them back to your brand. When you’ve got a large following, try and create your own hashtags and get them trending. There is a right and wrong time to post content on your social media pages. The right time for you depends on two things: your audience and the site you’re using. Using resources such as Sprout Social, you can easily determine the best time to post on your social media pages as it will tell you when you are likely to get the highest level of engagement. Be careful not to bombard your followers with too many posts, too. Whilst you can post on Twitter multiple times per day because of the way the platform works, you can’t do the same on Facebook or LinkedIn. Include keywords in URLs, titles and descriptions. Connect your social media accounts with each other. Create backlinks to your website through your page and its content. Create backlinks between your social media accounts. Link to your social media pages through your website. Integrate Open Graph metatags into your content. Add social share buttons to your website and make them visible. Share other people’s online content (curated content) through your pages. Be active, engage with your followers and regularly provide fresh content. Share your most recent posts for quicker indexing – crawlers find you easier on bigger sites such as Facebook.